This site is currently under construction but updates are being made periodically. Feel free to poke around. If you are at all interested in old cars and art, this is the place to check out both. What is your dream car? A 56 Chevy? A Mustang Fastback (a Fastback is coming soon)? 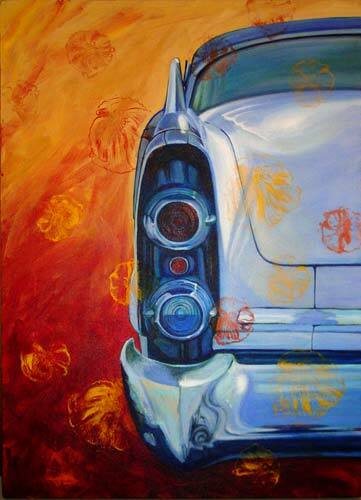 Or are you like me and in love with the rear of just about any 1960’s Ford Falcon? Have you ever seen the rear of a 1059 Cadillac? OMG…HOT! See Paintings and Commissions. Enjoy and check back again soon!